Evolutionary psychology ans behaviour genetics are two successful and important fields in the study of human behaviour, but practitioners in these two fields have different conceptions of the nature of human intelligence. Evolutionary psychologists dispute the existence of general intelligence and emphasize the differences between the species. They argue that natural and sexual selection would be expected to produce intelligences that are specialised for particular domains, as encountered by particular species. Behaviour geneticists consider general intelligence to be the most fundamental aspect of intelligence and concentrate on the differences between individuals of the same species. This exciting book features papers and discussion contributions from leading behaviour geneticists, evolutionary psychologists and experts on intelligence that explore the differences and the tensions between these two approaches. 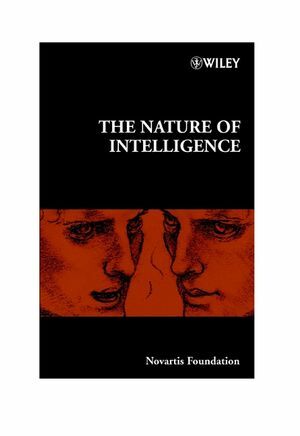 The nature of g or general intelligence is discussed in detail, as is the issue of heritability of intelligence. The alternative approaches emphasizing domain-specific intelligences are also explored, alongside wide-ranging discussions on a broad range of issues such as the biological basis for intelligence, animal models and changes in IQ scores over time.